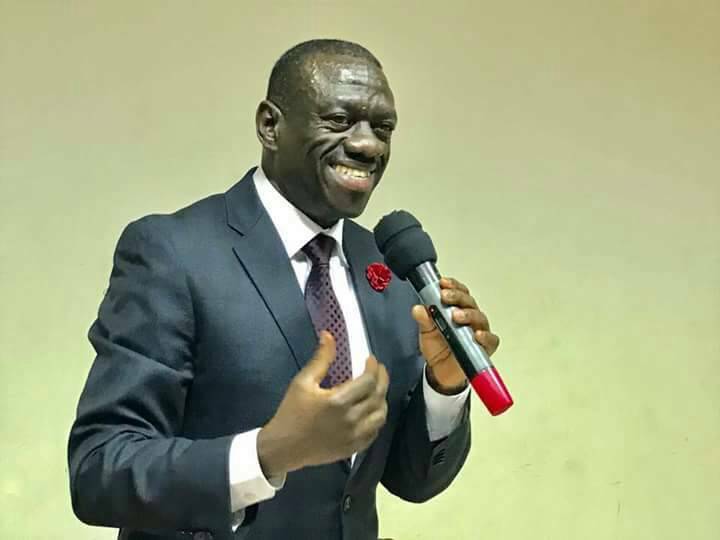 KAMPALA – Opposition leader Dr Kizza Besigye has hit out at President Museveni for openly bribing voters in Rukungiri ahead of the district Woman MP by-elections slated for May 2. In a statement released on Monday evening, Dr. Besigye in whose backyard Mr Museveni, also chairman of the ruling NRM party, delivered goodies worth Shs5 billion poked holes into the president’s given reason of poverty alleviation saying Rukungiri was a fairly “RICH” district. “According to UNDP Human Development Report of 2008, the poorest 10 Districts in Uganda were: Kaabong, Abim, Kotido, Moroto, Nakapiripirit, Yumbe, Kalangala, Kaberamaido, Kisoro, and Rakai” he noted. “There’s little doubt therefore, that the donations were also intended to influence the ongoing election process. It’s a part of election bribery prohibited under the law. This, however, is the least of worries for a rouge regime that has no regard for the rule of law!” Dr. Besigye noted. Rukungiri remains an opposition FDC stronghold having voted against Mr Museveni in both the 2011 and 2016 elections, and returned more opposition MPs in the 2016 elections. It is understood that Mr Museveni, as chairman of the ruling NRM, is determined not to lose the district Woman MP’s seat after the Court of Appeal on March 22 rendered invalid NRM’s Winnie Matsiko’ win as district Woman MP, after her challenger the FDC’ s Betty Bamukwasa Muzanira petitioned against her victory in the controversial 2016 elections. 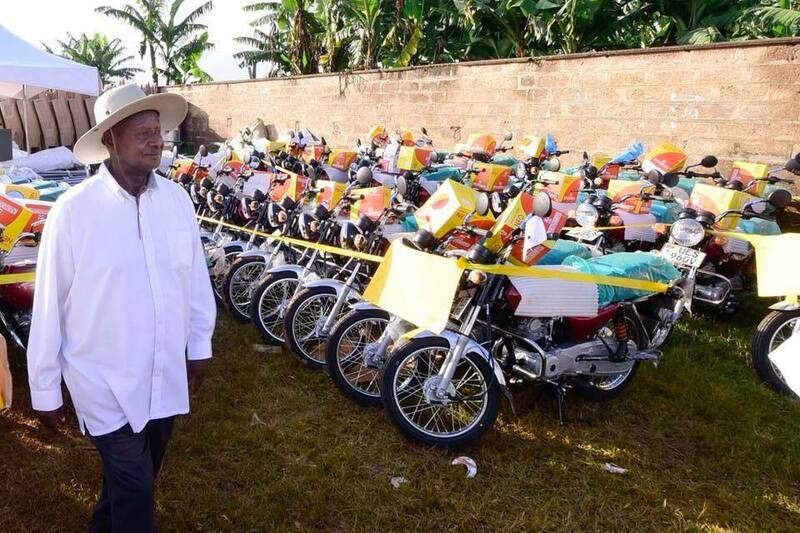 Yesterday, 15th April 2018, Mr Museveni delivered an assortment of goods, including Motorcycles, mini-buses, trucks, tractors, workshop equipment for carpenters and motor mechanics, sewing machines, Tents &chairs etc, worth more than Shs 5billion, to various groups of people in Rukungiri. Some of the things are shown in pictures below. He didn’t explain (and there isn’t any information anywhere on) the criteria that was followed in selecting the various beneficiaries. What’s clear is that some of the groups are designated as NRM groups. Others were of FDC members/supporters who were told that they had to support NRM to become beneficiaries. Indeed, in his speech, Mr Museveni said that “there is a lot of money in your government but you don’t know how to get it. The young people have been caught up in FDC, which is deceiving them”. Therefore, it is apparent that the objective was to lure members of Fdc to offer him political support. 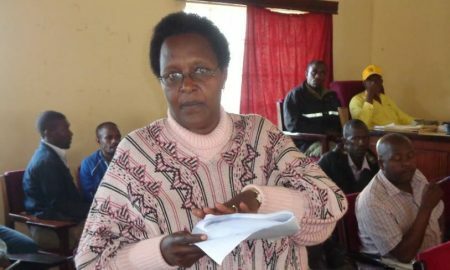 This sudden and unplanned visit took place after the Electoral Commission (EC) had published a program for Rukungiri Woman MP by-election. Updating the register starts today, 16th April 2018 and voting day is 31st May 2018. Even with all the election violence and rigging, Rukungiri remains an Fdc stronghold. Two of the three Constituency MPs are of Fdc. The third Constituency is where massive rigging happened that led to nullification of the (NRM) Woman MP. The situation has become even more hostile for the NRM Junta since the overthrow of the Constitution in December 2017. There’s little doubt therefore, that the donations were also intended to influence the ongoing election process. It’s a part of election bribery prohibited under the law. This, however, is the least of worries for a rouge regime that has no regard for the rule of law! If Mr Museveni is genuinely concerned about fighting poverty in Uganda, why would he spend billions of State House money that wasn’t budgeted-for in Rukungiri, which isn’t among the poorest Districts of Uganda? According to UNDP Human Development Report of 2008, the poorest 10 Districts in Uganda were: Kaabong, Abim, Kotido, Moroto, Nakapiripirit, Yumbe, Kalangala, Kaberamaido, Kisoro, and Rakai. Reports of subsequent years have consistently showed that the Districts of Northern and Eastern Uganda are the poorest in Uganda. The reasons for this are also fairly well known. According to the 2017 report of a study on the District GDP and District GDP per person (conducted by US researchers with support of USAID), the poorest Districts of Uganda from the worst were: Kagadi, Alebtong, Otuke, Kalangala, Napak, Ntoroko, Lamwo, Kaabong, Moyo and Buvuma. These studies are intended to guide poverty intervention measures. No intervention of the type that was undertaken in Rukungiri, a fairly RICH District (comparatively), has been made in the very poor Districts indicated above. Due to hastily creating the “groups” to benefit from Mr Museveni’s “generosity”, there is/was no mechanism within the groups on how the “windfall” would be shared or managed. As I write, chaos is underway among the “beneficiaries” trying to share their godsend goodies! I am informed that Police has intervened to guard some of the goods. This is quite common in the different places when the GIVER (Omugabe) displays his “generosity”. It’s like the handouts are jinxed! The primary role of a government should be to deliver public goods and services. The healthcare system in Uganda is in very deep crisis. This is reflected in all vital statistics. A population that’s not healthy can’t be productive. With about 40% of our children stunted, you can’t expect them to grow into future innovators. As Mr Museveni is distributing Boda-bodas, nurses and other medical workers are about to resume a strike due to poor pay! A collapsed healthcare system is a part of the reason why the Tourism Sector, which should be a big earner and employer, has remained stunted. The state of education, clean water supply, sanitation, public transport systems etc is deplorable, mainly due to underfunding and corruption. After 32 years of Mr Museveni’s patronage system, the economy is clearly on its knees. This is why all Ugandans need to come together and urgently STOP the predatory NRM Junta. Before the Junta is finally pushed out of power, what’s clear is that Districts won’t benefit much from the regime unless they fiercely oppose it! The poorest Districts of Uganda have never had “Opposition” MPs or District leaders! Most of the more prosperous Districts have “Opposition” leaders. Fortunately, the greatest majorly of our people are now awake and organising to take back the country from a regime most inimical to its people since independence. Together we shall!